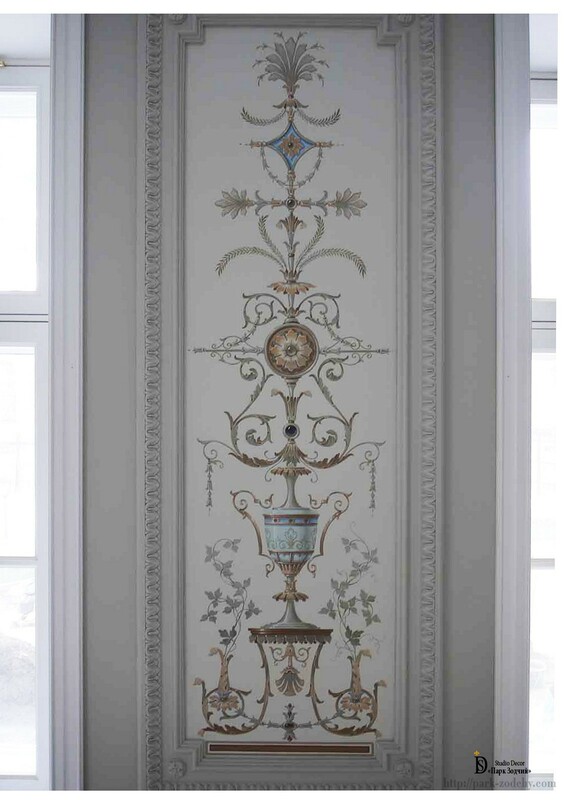 The Egyptians created alfresco painting in the III millennium BC, when they began the painting of pyramids walls. 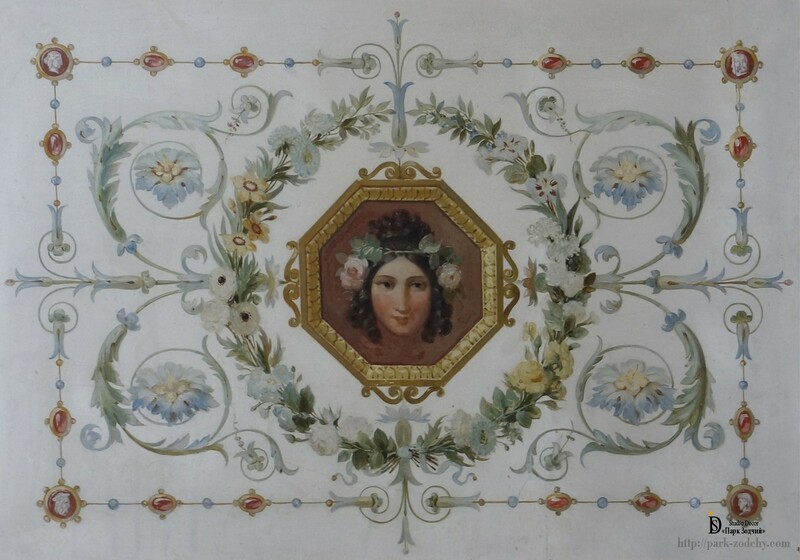 However, only the Roman and Greek frescoes, creating visual spatial effects marked the beginning of alfresco artistic painting technique. 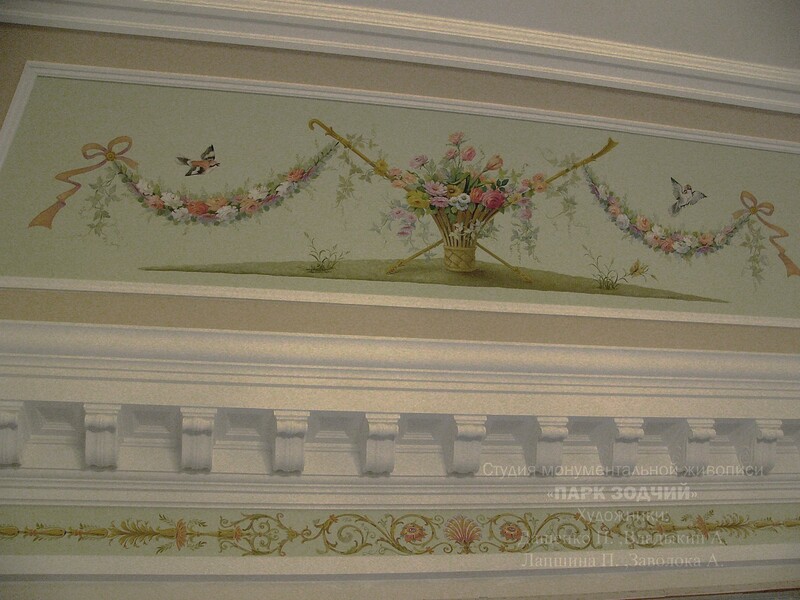 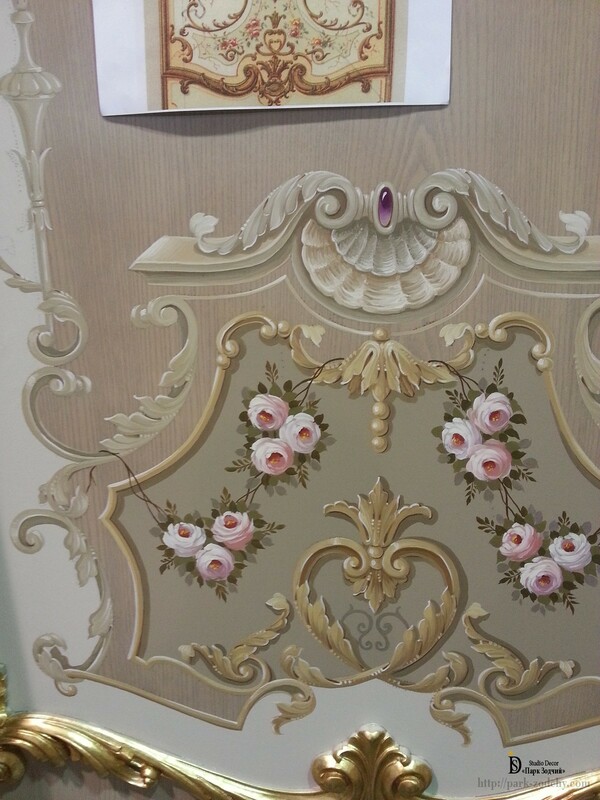 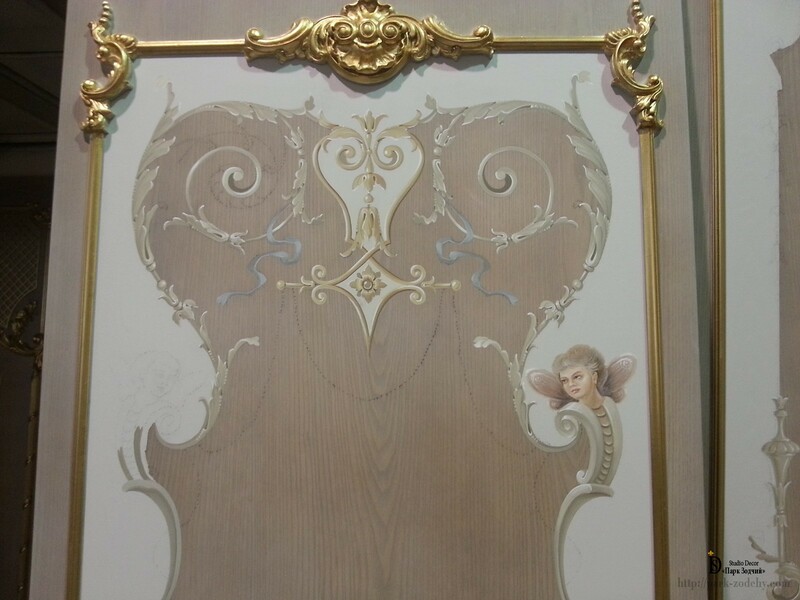 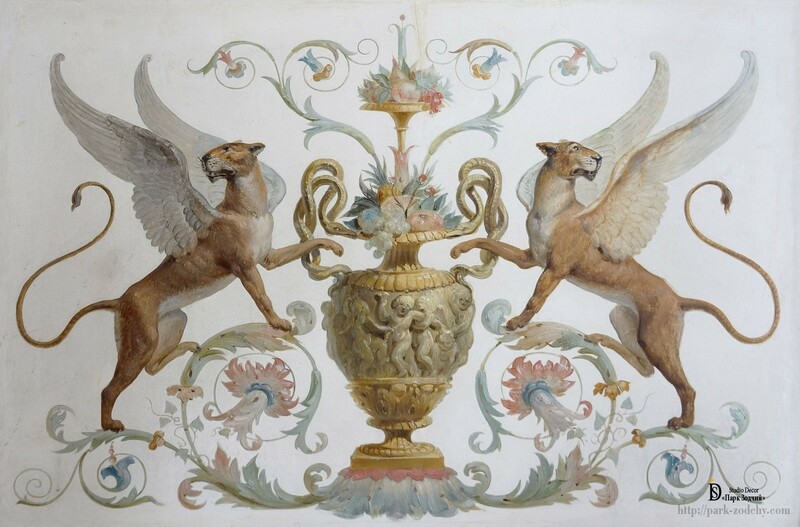 Polychromic decorative painting is a floral motif of different styles, unusual patterns and heraldry. 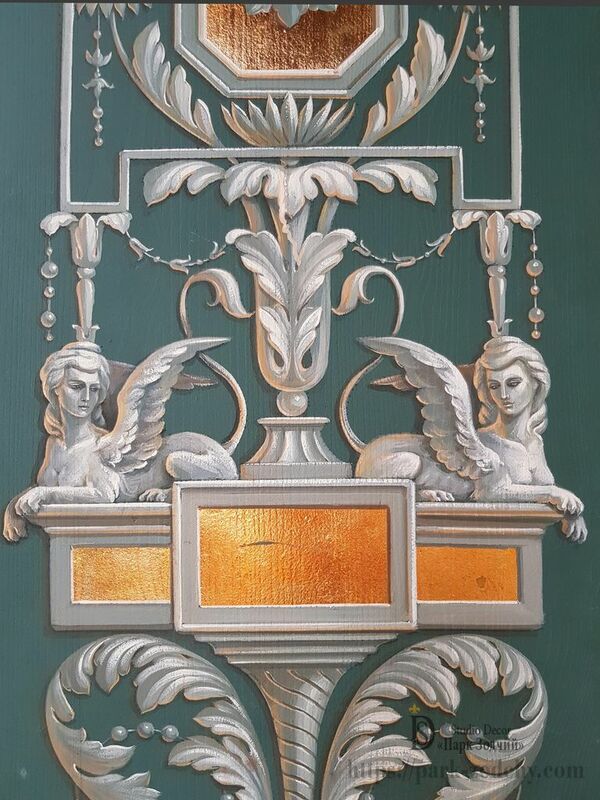 Sometimes artists use gold tincture in such a painting. 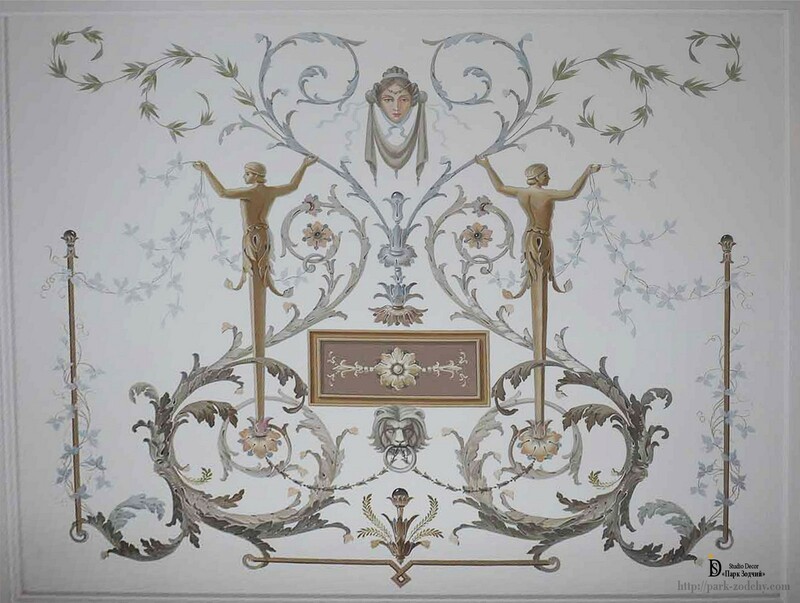 Monochrome decorative painting characterizes by only one colour and its shades. 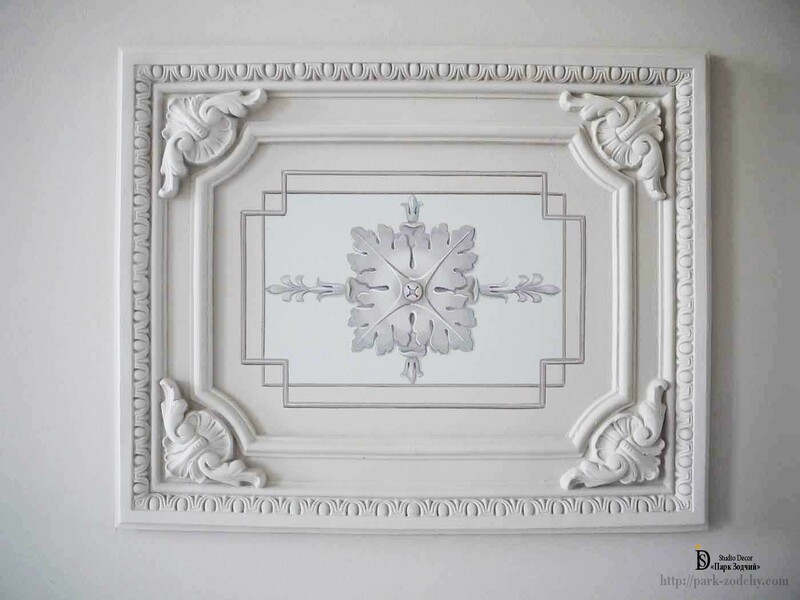 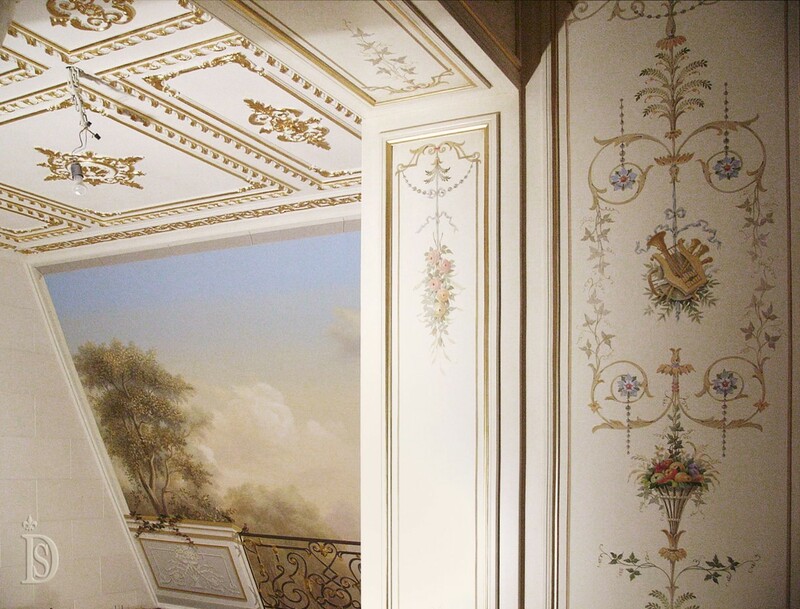 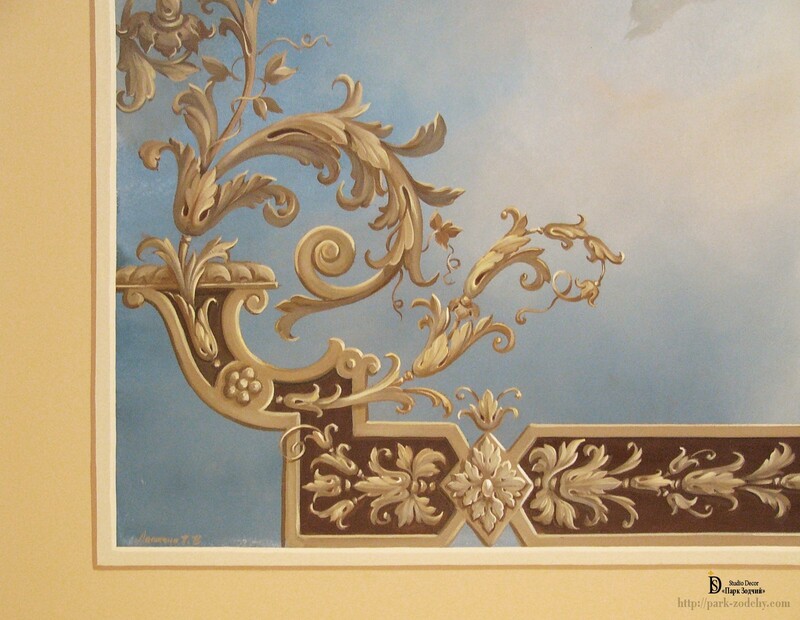 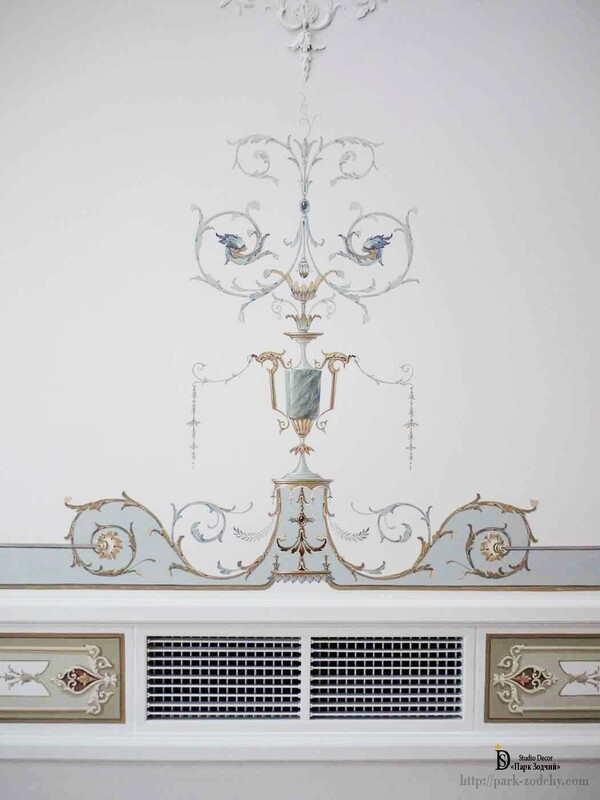 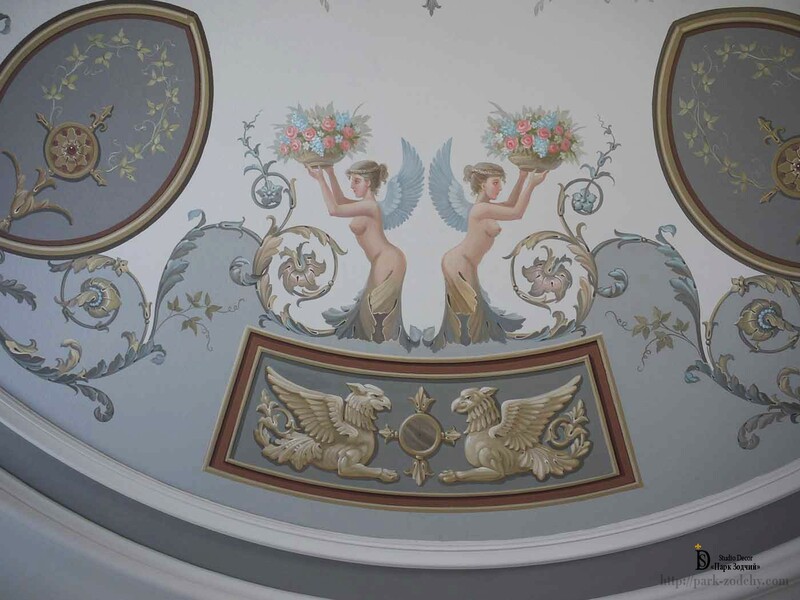 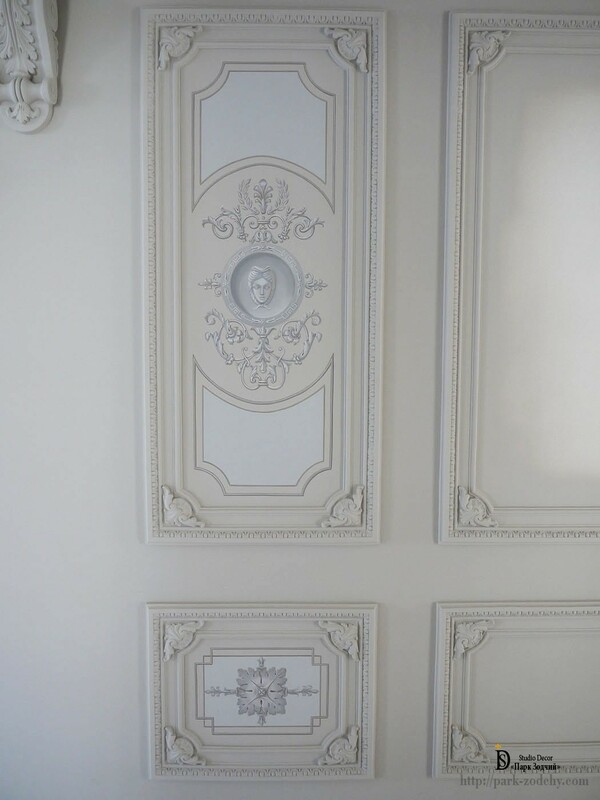 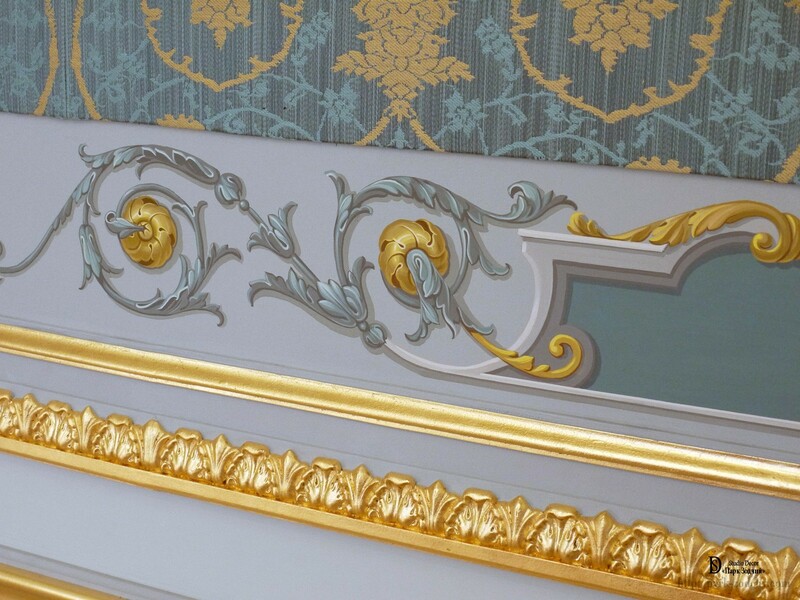 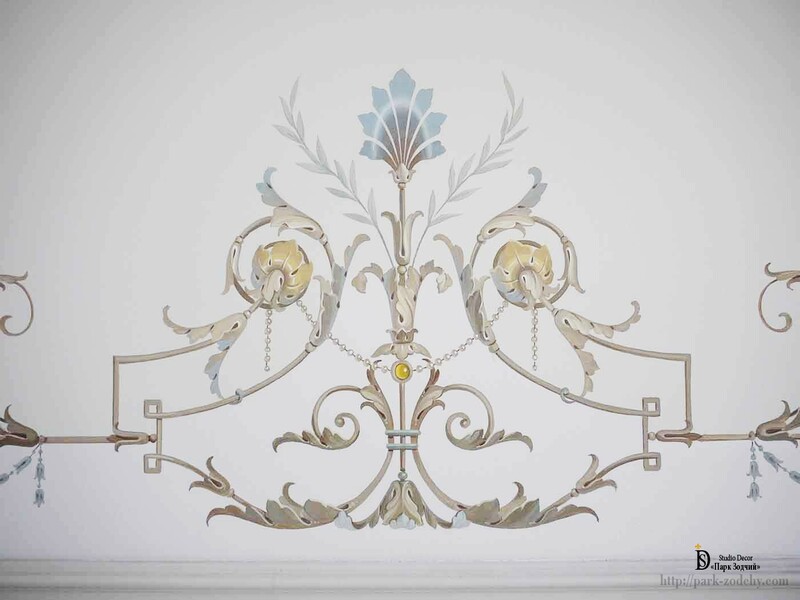 Grisaille used to create the visibility of stucco moldings and architectural details. 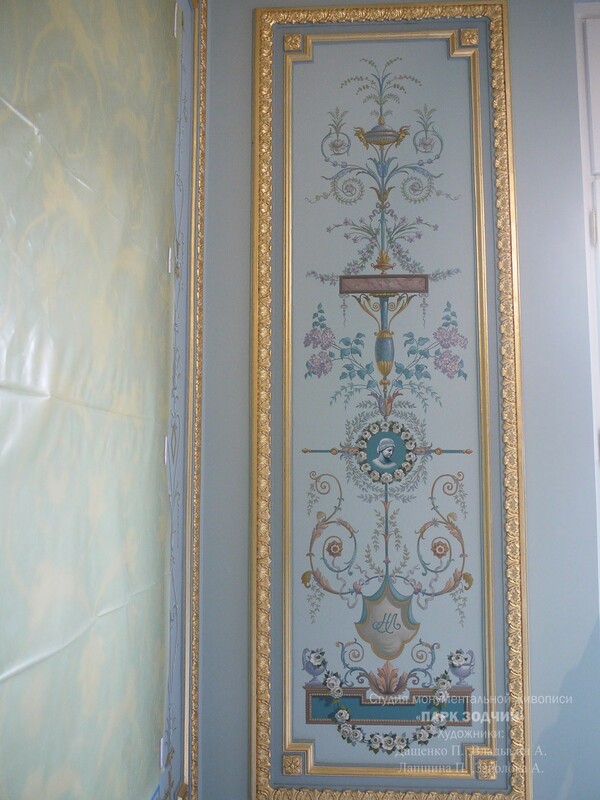 The artists apply for alfresco painting additional coatings and plaster works, make preliminary treatment before decoration by such materials as wood, jasper, marble. 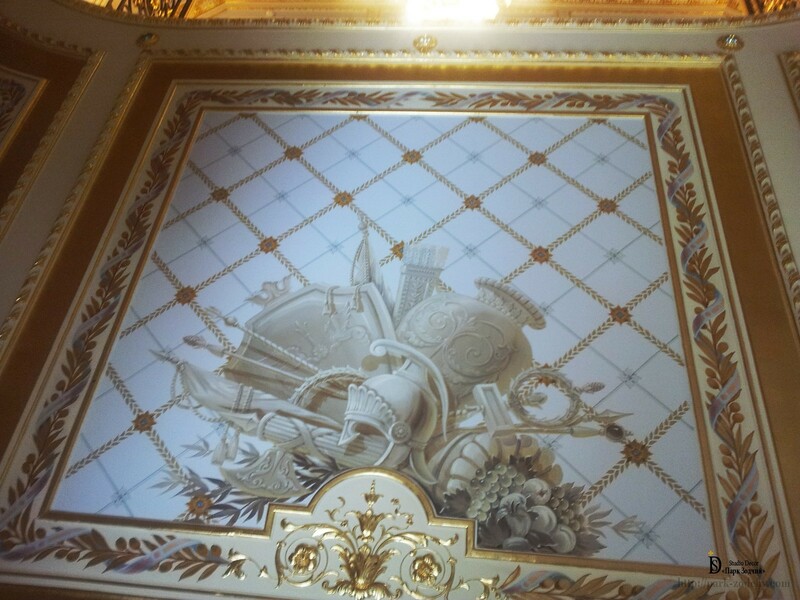 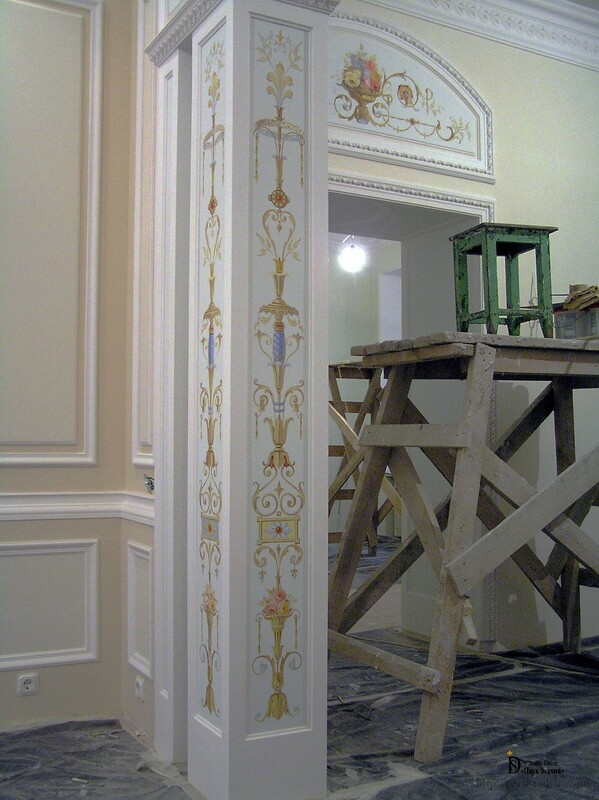 Specialists of Venetian and Encaustic make such decorative coating, if they need to do appropriate work in high volumes. 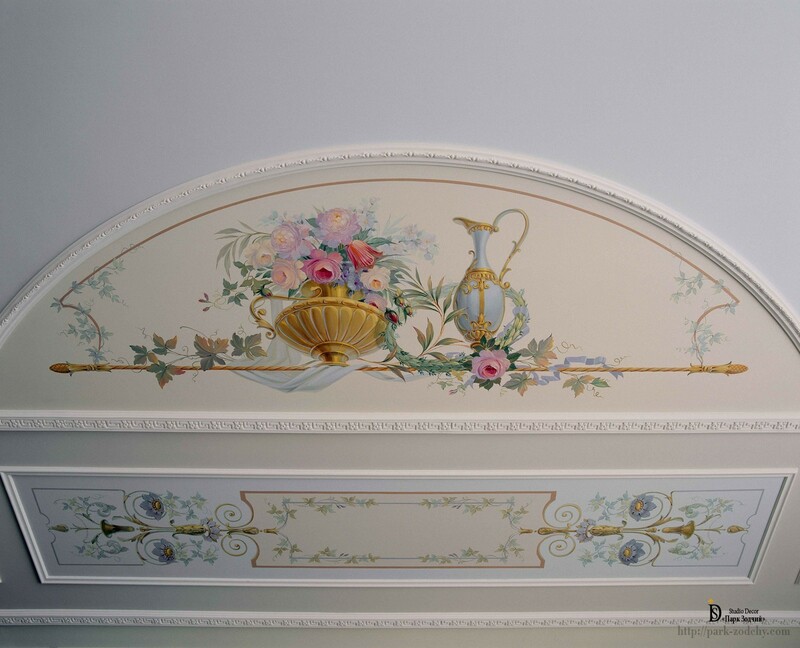 With the help of alfresco painting technique, you can change any interior. 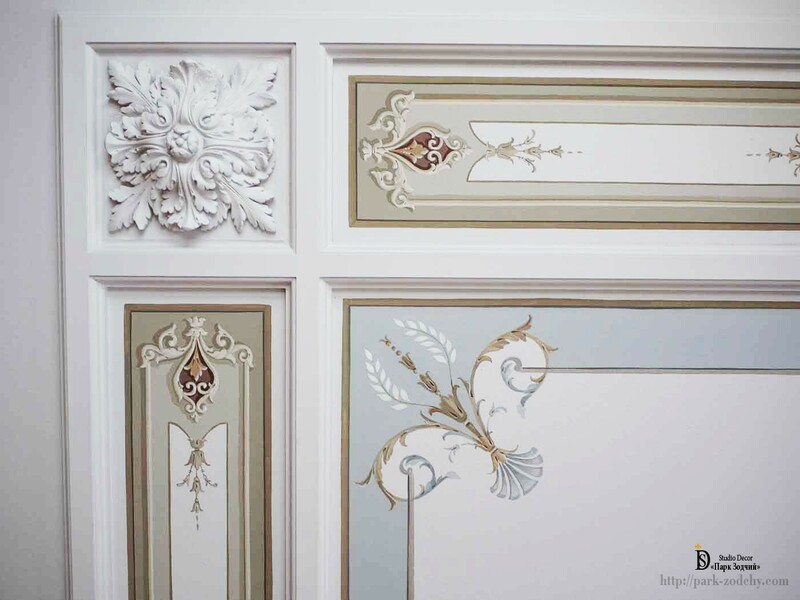 Stencilled patterns, plashing, stippling and cutting in, if to choose properly and correctly, will achieve an interesting design idea. 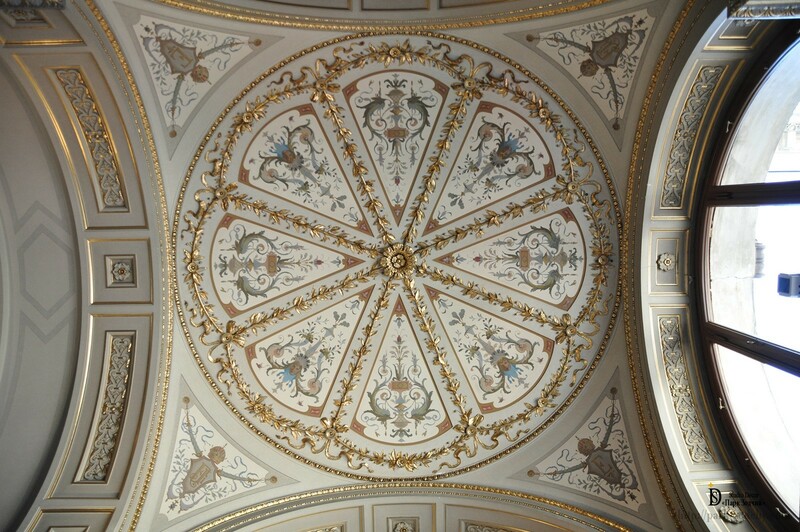 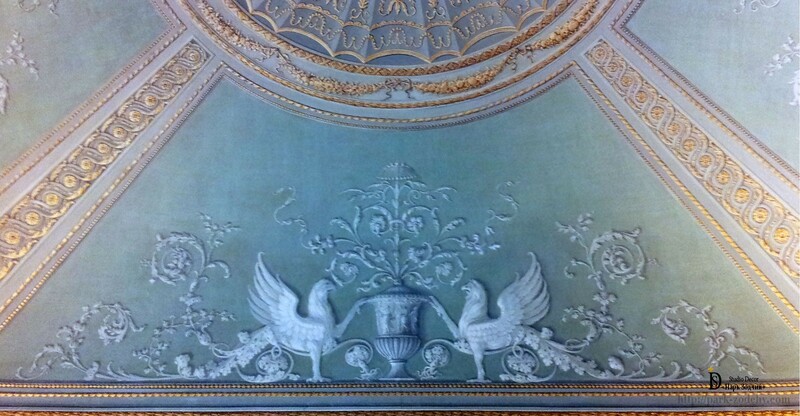 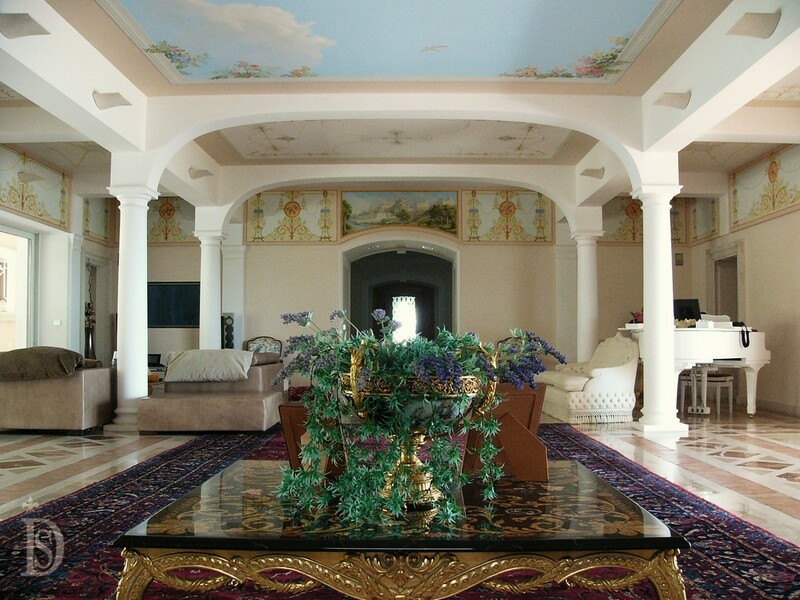 Alfresco ceiling painting will create firmament of individual universe. 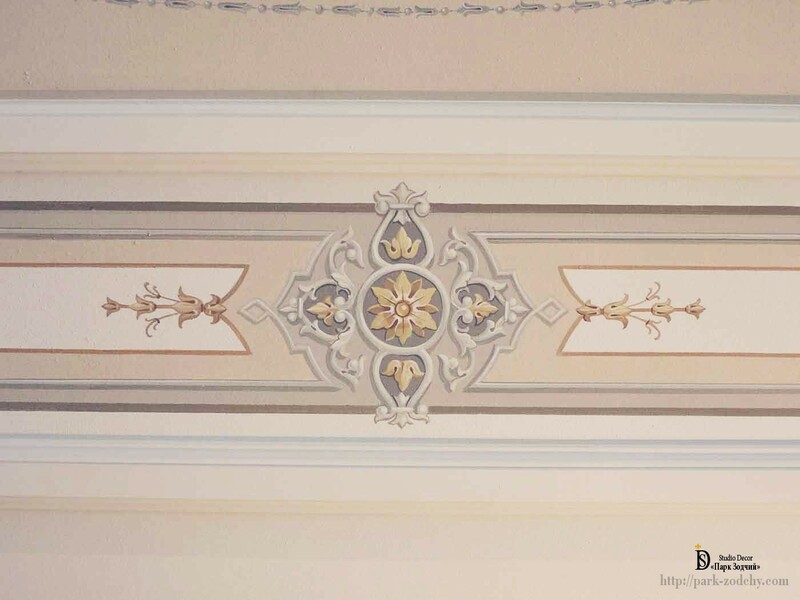 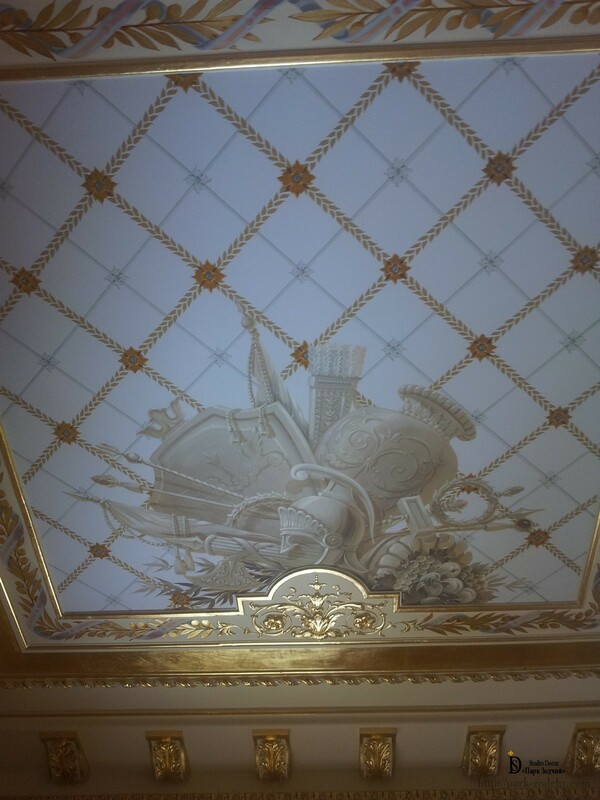 To achieve the desired result just paint a small part of the ceiling. 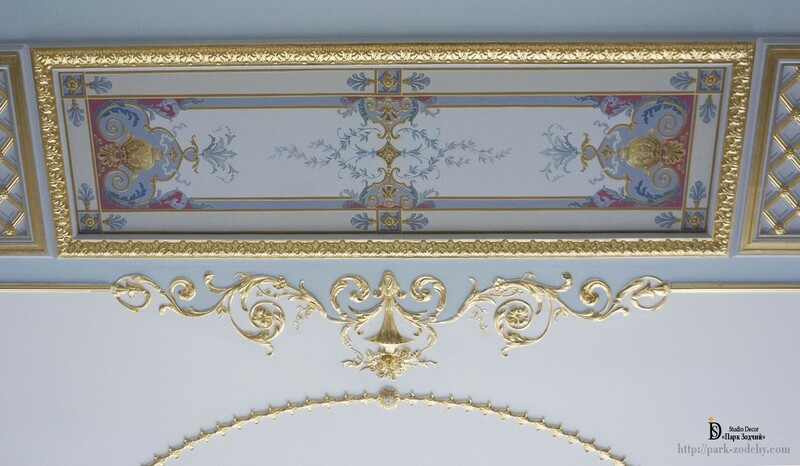 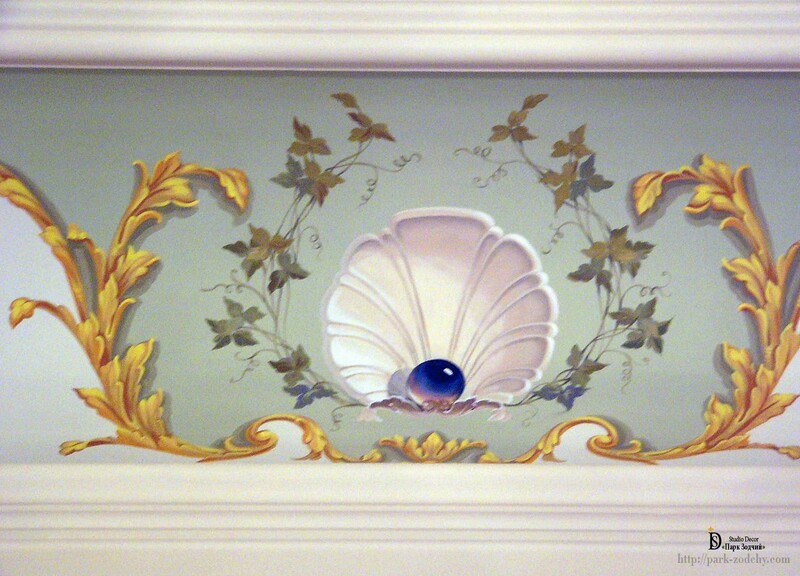 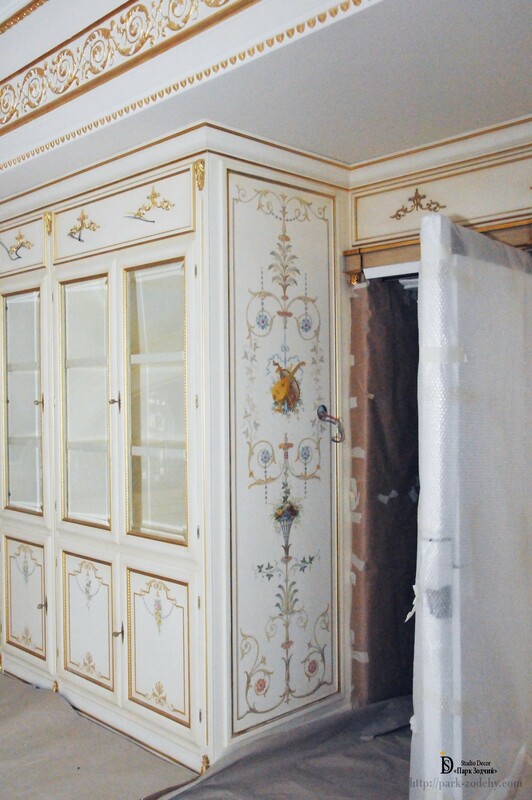 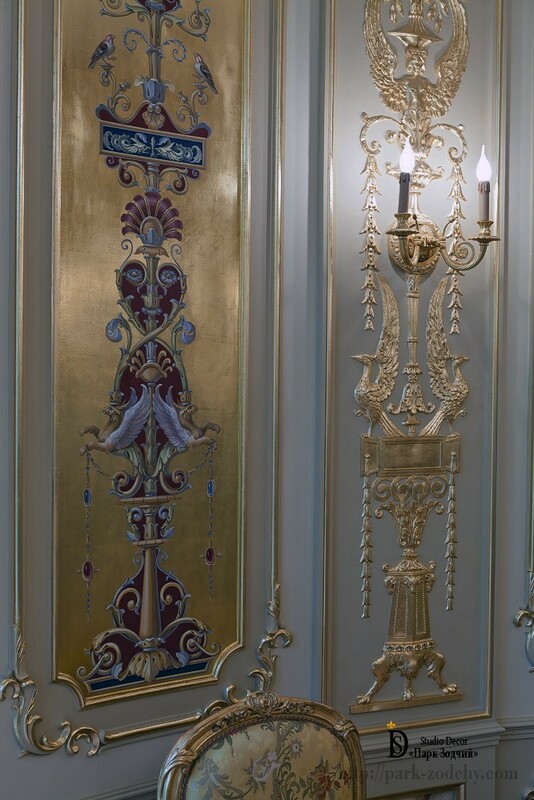 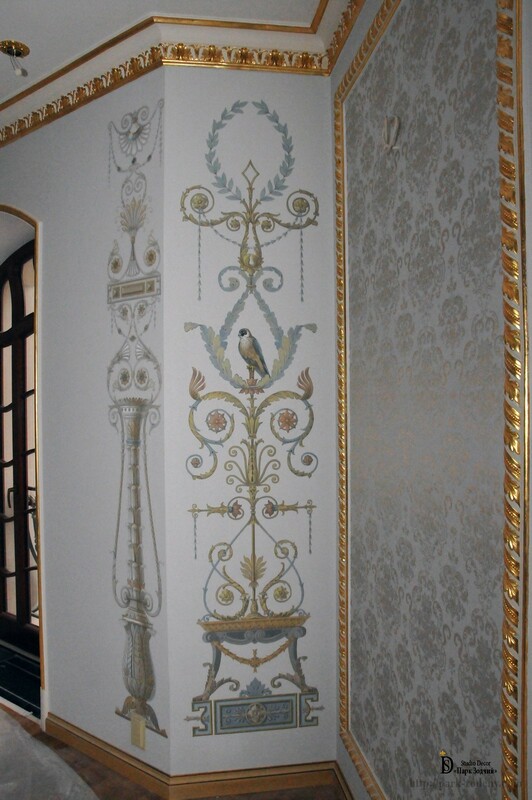 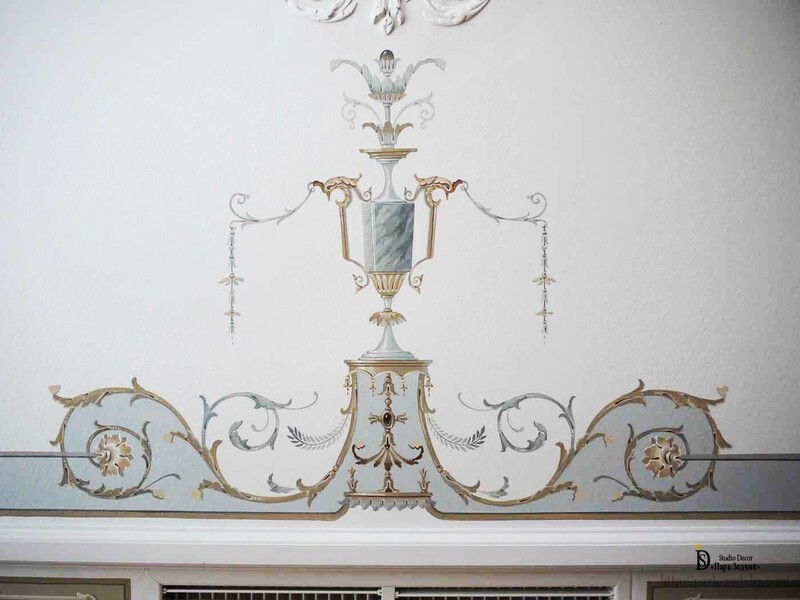 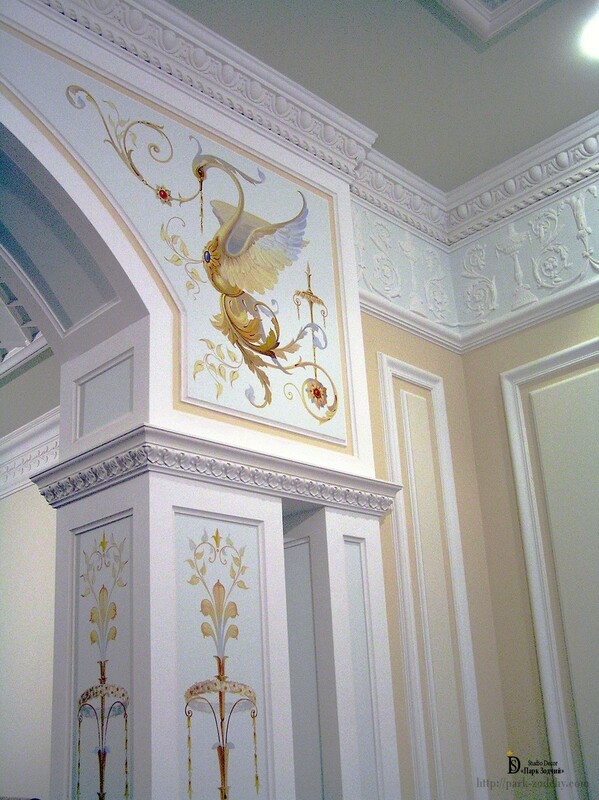 Even a small-sized ornamental and decorative painting will refresh the dismal and colourless appearance of any surface. 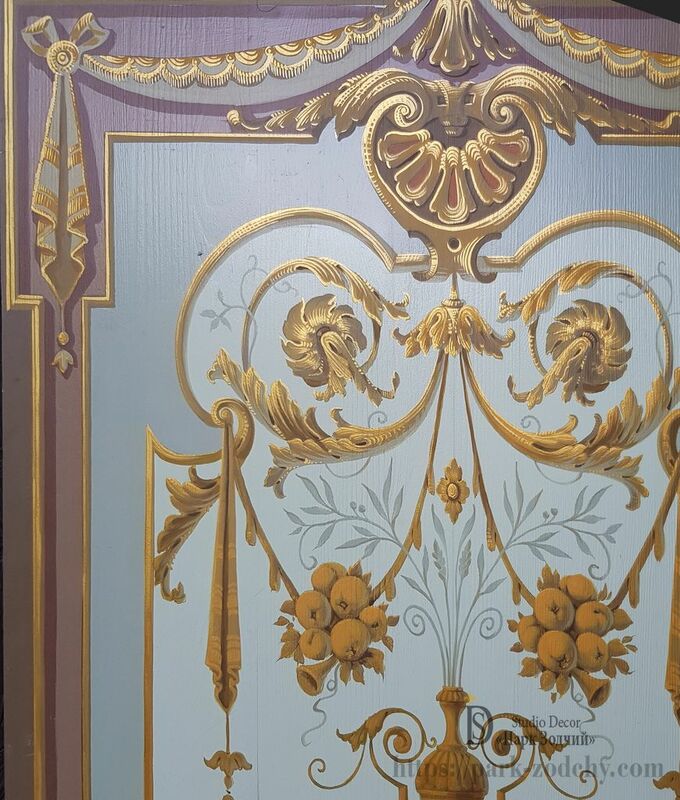 Oil or acrylic paints, nacreous finish and brushes will do wonders.